Rabbi Dr. Yehuda Seif is a scholar and community builder whose dream it has been to open an integrated yeshiva/midrasha program. He studied at Yeshivat Har Etzion and received his ordination from Rav Zalman Nechemiah Goldberg. He received his BA from Columbia College, his MA in Religion and Education from Columbia's Teacher's College, and Israeli Teacher Certification from Herzog College. He was a fellow at the Center for Jewish Law and Contemporary Civilization at the Cardozo School of Law, and he completed his PhD in Religious Studies at University of Pennsylvania. Rabbi Seif has extensive formal and informal educational experience teaching and leading programs for high school and college students. He served as a Senior Program Officer at the Tikvah Fund, a foundation devoted to Jewish excellence and promoting serious Jewish thought about the enduring questions of human life and the pressing challenges that confront the Jewish people. After initiating a high school scholars program at the foundation, R' Seif taught Tikvah Scholars classes at Kohelet Yeshiva High School, focusing on the intersection between Jewish law, thought and Western Humanities. He served as the Jewish Learning Initiative on Campus educator at the University of Pennsylvania from 2002-2006. He, along with his wife Orit and their five sons currently live in Efrat. Rav Yair HaLevi (Eisenstock) received his rabbinic ordination from the Rabbinate of Israel and Yeshivat Hamivtar as well as a B.Ed and M.Ed Degree in Talmud and Tanach from the Herzog College. Rav Yair taught Gemara at Orot Yehuda (3 years), an Israeli high school and was the a Ram of grade 11. Rav Yair served as the Director of the Overseas Program at Yeshivat Hesder Otniel. In addition to directing the program, Rav Yair served as a Ram to both Israeli and Overseas first year students and taught Gemara, Tanach and Chasidut. Rav Yair then continued to Yeshivat Orayta (4 years), where he served as Director of Informal Education, a Ram and Rosh Kollel in the yeshiva. During the summers Rav Yair has been involved in Bnei Akiva programs and worked with the Kol HaNearim program, which brings volunteers to Israel to organize summer camps for children at risk. He also served in the Infantry Corps in the IDF. Rav Yair and his wife, Tanya, have three children, Ohr-Eitan and Adiel, and Roni Shirat Yocheved. Rav Shaul Feldman is the Executive Director of Bnei Akiva of the US and Canada and just recently served as the campaign manager for the Religious Zionist Party in the World Zionist Congress elections. He received smicha from the Chief Rabbinate of Israel and a law degree from Bar Ilan Law School. Today, Rav Shaul is a highly admired Rav both in Israel and North America and mixes a keen mind with humor and a down to earth nature. After serving as a paratrooper in the IDF, he went on to teach in the Kerem B’Yavneh overseas program, Stern College and Torah Mi’Zion Kollel. In the past six years, Rav Shaul built a network of Bnei Akiva Shlichim (Israeli emissaries) sent to North America, consisting of 11 families and over 20 young shlichim. He also founded the new Moshava Ba'ir day camp network that serves close to 1,000 campers in several states. Most recently, he founded Yeshivat and Midreshet Torah v'Avodah. Rav Shaul is married to Libby and has 5 children. Rabbi Aaron Bayer is an experienced and talented educator who has built exciting programs and strengthened Jewish day schools in the United States. Rabbi Bayer has a BA in Bible from Yeshiva College, an MA in educational administration from Columbia Teachers College and was ordained at RIETS/Yeshiva University. 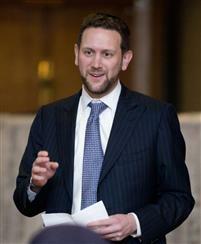 Rabbi Bayer was also Wexner Graduate Fellow. Rabbi Bayer served as the Judaic Studies Principal of the Seattle Hebrew Academy and was previously the Director of Student Life at the Fuchs Mizrachi School in Cleveland, OH, as well as a Judaic teacher at SAR Academy in New York. Much of Rabbi Bayer's youth was spent in Bnei Akiva and at Camp Moshava. As a professional, Rabbi Bayer has served in a variety of educational roles both at Camp Moshava IO and Camp Stone. He was also the Director of Bnei Akiva of North America’s AMI/March of the Living program. Rabbi Bayer made Aliyah this past summer with his wife, Micol, and their three children. ​Rav Yosef Gershon Carmel was born in Jerusalem in 1953. He is the Rabbinical Dean of the Eretz Hemdah, Institute for advanced Jewish studies in Jerusalem, as well as the Av Beit Din of the Beit Din, "Eretz Hemdah - Gazit". In 1987, with the partnership of Rav Moshe Ehrenreich and under the Presidency of HaGaon Maran Harav Shaul Israeli zt"l, they founded the Eretz Hemdah Institute. Rav Yosef Carmel is a graduate of the Nir Kiryat Arba Hesder Yeshiva and was Rosh Metivta there for more than ten years. He was a combat soldier in the IDF during the Yom Kippur war as well as the first Lebanon war. Rav Carmel is a senior lecturer for Tanach at Jerusalem College since 1985. Rav Carmel heads the 'Ask the Rabbi' program which provides Halachic answers in English to questioners from around the world. To date, more than 20,000 replies have been sent out. 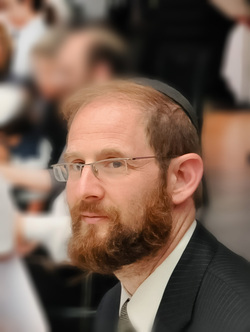 He is the author of many articles on Tanach and Halacha, the book Tsofenat Eliyahu – a commentary on the Vilna Gaon’s commentary on the laws of financial damages in Shulchan Aruch Hoshen Mishpat, and eight volumes of "Reponsa B'mareh Habazak". Rav Mann is a graduate and musmach of Yeshiva University and a musmach (Yadin Yadin) of Eretz Hemdah. At Eretz Hemdah, he serves as a dayan, a senior respondent on the Ask the Rabbi internet responsa program, the editor of Hemdat Yamim and Living the Halachic Process. He is the author of the Vebbe Rebbe column. He also serves as a Ram at Yeshiva University's Israel Kollel (Gruss). He was a Rosh Kollel and a dayan in the US and has taught in several yeshivot in Israel for post high school overseas students. Rav Leibtag is one of the pioneers of Torah education via the Internet. His weekly essays on Parshat Ha'shavua, read by literally thousands of subscribers world wide, introduce a vibrant analytical approach to thematic study of the Bible and reflect over twenty years of experience as a student and teacher at Yeshivat Har Etzion in Israel. He was the founder of the Yeshiva's Virtual Bet Midrash and more recently founded the Tanach Study Center, which contains a full archive of his lectures in various formats. In addition to his educational responsibilities at Har Etzion, Rav Leibtag also lectures at Yeshivat Shaalvim, Yeshivat ha'Kotel, Midreshet Lindenbaum, and Orot College for Women. He has delivered lectures and teacher workshops extensively in Israel and the Diaspora. Dina Kessler, M.Sc. serves as our program's guidance counselor. She received her masters in Clinical Sociology from the University of North Texas and works as a therapist at the Family Institute, a mental health clinic in Jerusalem. She has a B.A. from Stern College in Psychology and Judaic studies and focused on a career in education before turning to mental health. She pursued a Master's degree in Tanach at the Bernard Revel Graduate School of Yeshiva University and taught Judaic Studies at Jewish Day Schools in N.Y. and Cleveland where she also taught as part of the MaTan Bat Mitzvah Program. Since making aliya in 2007, she has worked as a Rakezet Chinuchi at Midresht Lindenbaum, as well as both teaching and serving as a counselor. She lives in Gush Etzion with her husband and five children.